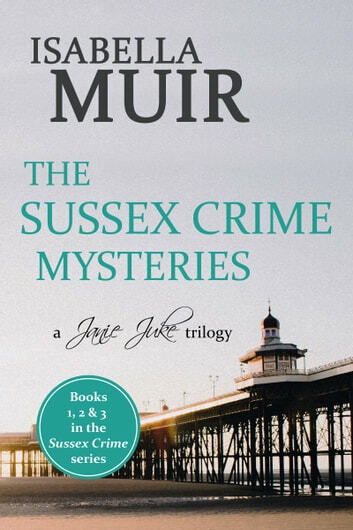 THE SUSSEX CRIME MYSTERIES is a collection of three previously published books, including THE TAPESTRY BAG (Book 1), LOST PROPERTY (Book 2), and THE INVISIBLE CASE (Book 3). All three books can also be purchased individually. A young woman, Zara, goes missing, one year to the day that her boyfriend, Joel, was killed in a hit and run. Is Zara in danger? Is she still alive? What really happened to Joel and who is to blame? In the quiet seaside town of Tamarisk Bay, the police appear to be doing little to find Zara. Her friend Janie decides to make it her mission to track her down. It’s the ‘swinging sixties’ and Janie fears that Zara may be mixed up with drugs, alcohol, or worse. Janie runs the mobile library and has a passion for crime fiction, especially Agatha Christie. Can Poirot help Janie solve the mystery of Zara’s disappearance? Janie Juke has developed a reputation for finding missing people. 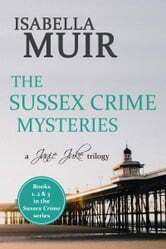 When Hugh Furness asks Janie to track down an old friend, she discovers there is more at stake than a missing person. This case takes Janie back in time to the Second World War, where she learns about secret missions and brave deeds. The past holds the key, but she needs to be at her most intuitive to work out what lies behind the rumours and conjecture. It's Easter 1970 in the seaside town of Tamarisk Bay, and for one family the first Easter of a new decade brings a shocking tragedy. Amateur sleuth and professional librarian, Janie Juke, is settling into motherhood and quality time with her family. When her Aunt Jessica is due back from Rome after nine years travelling around Europe, she arrives back in town with a new Italian friend, Luigi, and the whole family soon get embroiled in a tangle of mystery and suspicion, with death and passion at the heart of the story.